PEPPERs will no longer be mailed to providers who previously received their PEPPERs by mail. They will now be able to access them through a secure portal from this website beginning in May 2014. Those providers who have been receiving their PEPPERs through QualityNet will continue to do so. Access to the PEPPER will be restricted to the provider’s Chief Executive Officer, President or Administrator. Corporate offices and/or facility management companies will need to obtain PEPPERs from each individual provider in their organization. 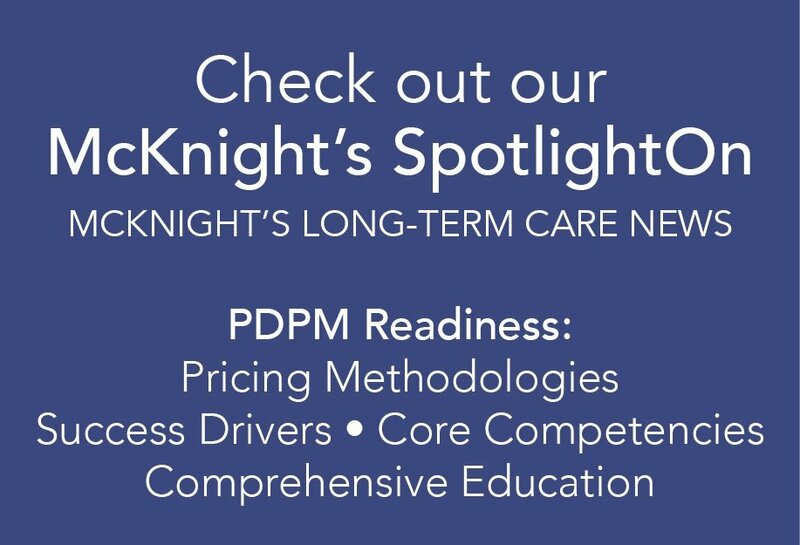 Requestors will be required to enter their 6-digit CMS certification number (also referred to as a provider number or PTAN). This is *not* the same number as the tax identification number or national provider identification number. For verification purposes, requestors will be required to enter either a patient control number (found at form locator 03a on the UB04 claim form) *or* a medical record number (found at form locator 03b on the UB04 claim form) for a fee-for-service Medicare patient who received services at the provider during a specified time period (either the “From” or “Through” date on the claim is during the time period) (TMF will determine this time period closer to report distribution). 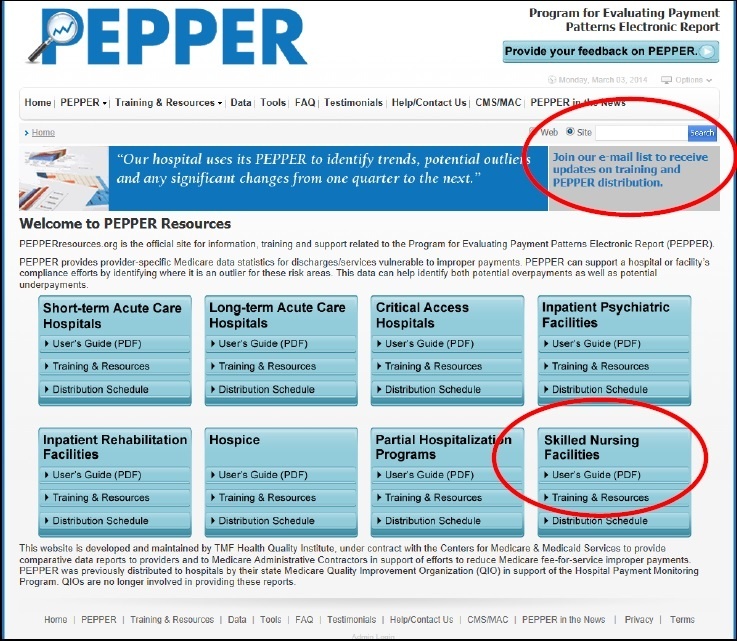 Visit the Home Page of PEPPER resources.org and click on the gray box in the upper right corner of the page to ‘join the email list’. Fill out the requested information and select the “Skilled Nursing Facility”. This will ensure that facilities receive any future information or updates pertaining to the SNF PEPPER. The goal of the PEPPER report is to provide provider-specific Medicare data statistics for discharges and services vulnerable to improper payments. PEPPER can support a facility’s compliance efforts by identifying facility specific outliers for targeted risk areas. This data can help identify both potential overpayments as well as potential underpayments. If you questions, comments or need additional information, please contact Jodi Hall, Director of Clinical Education and Compliance - jhall@heritage-healthcare.com; (772) 675-1075.